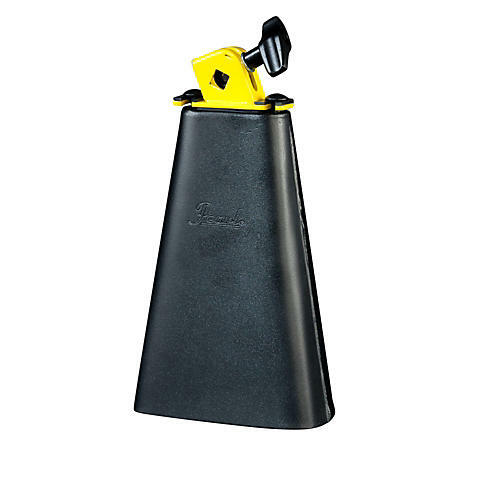 Intended for set and percussion players, the Horacio Hernandez Signature Mambo Cha Cha Cowbell by Pearl features two playing surfaces: flat on one side, and curved on the other. The tone is the same, but the distinctive bi-shaped design will give the player the option of striking the bell directly facing in or on the side (like a timbale player). The two-position cowbell bracket ensures that the wing-nuts don't get in the way when stacking multiple bells and blocks on one post. Finished in beautifully plated copper, this professional line of cowbells look and sound like no other on the market.